A stylish Thomas Webb water set comprising one jug and five glasses. 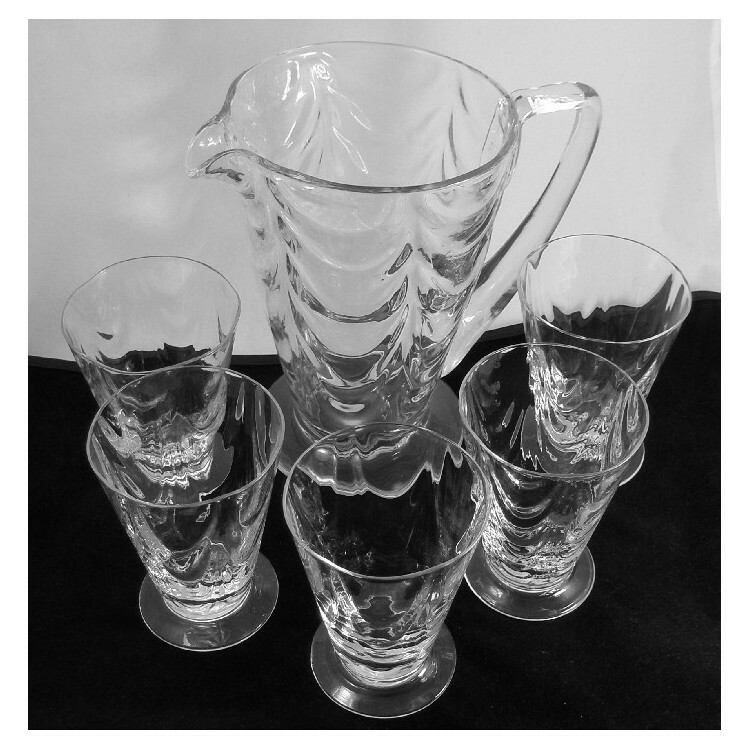 A stylish Thomas Webb water set comprising one jug and five glasses in an Art Deco shape with Arts & Crafts wave ribbed moulding. 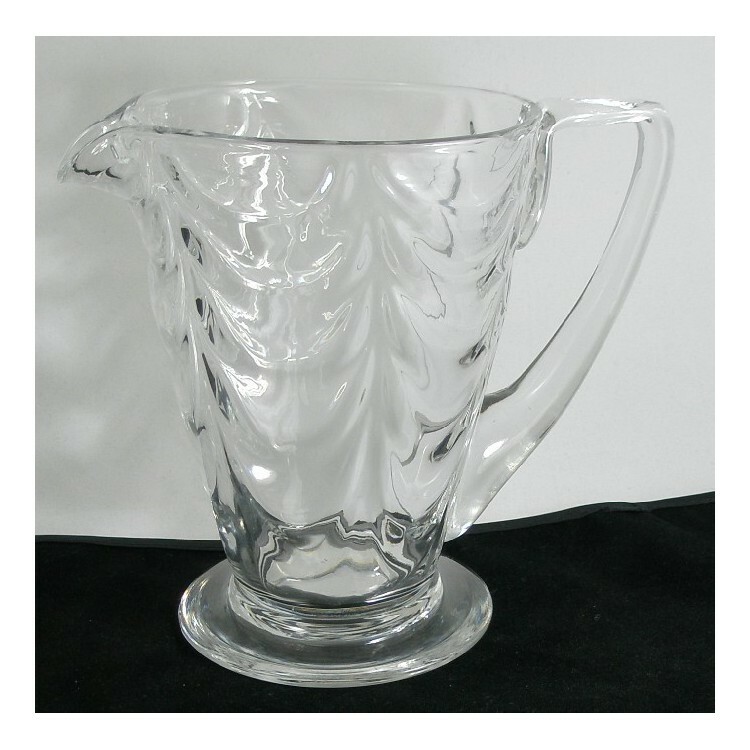 The jug with polished pontil mark. 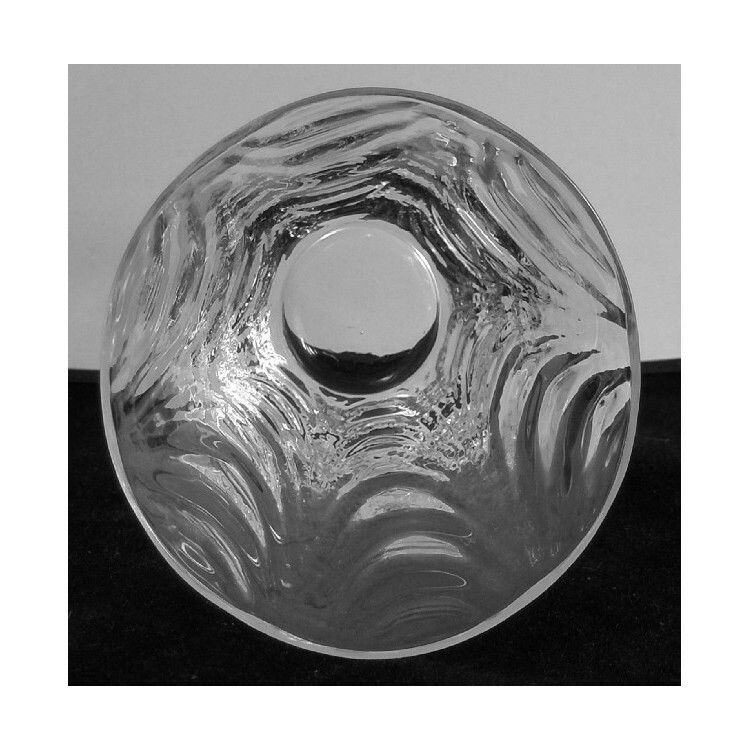 Lead crystal, c1920. 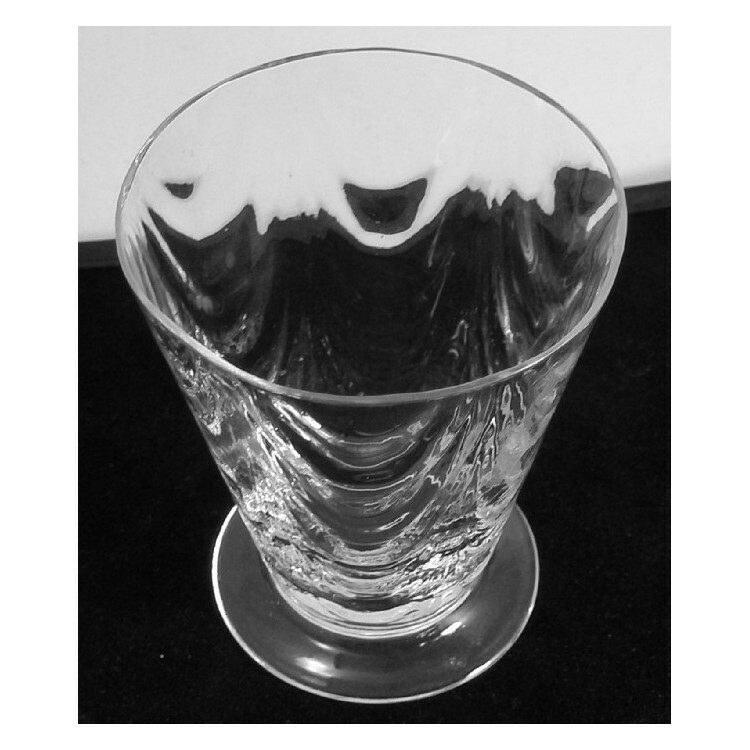 Excellent condition with no chips or nicks. 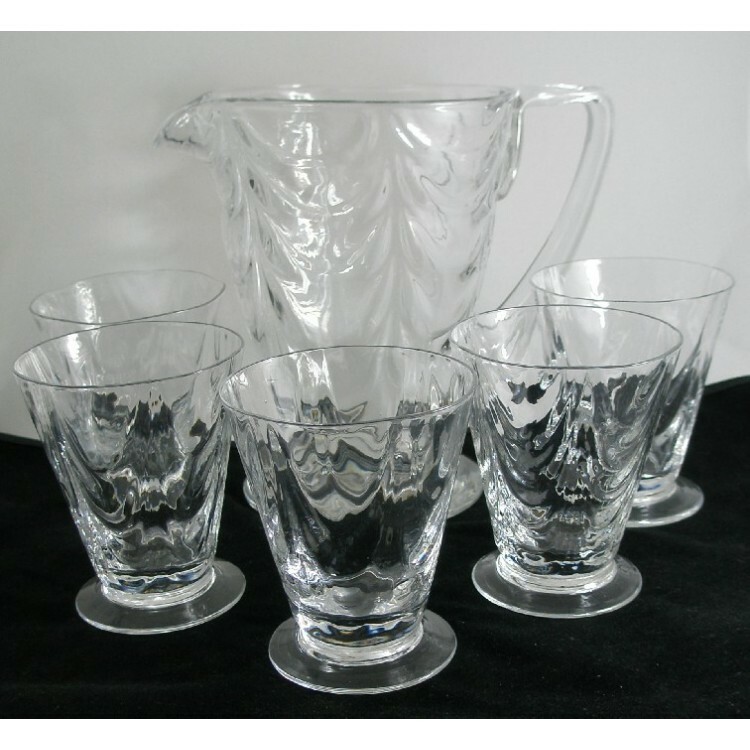 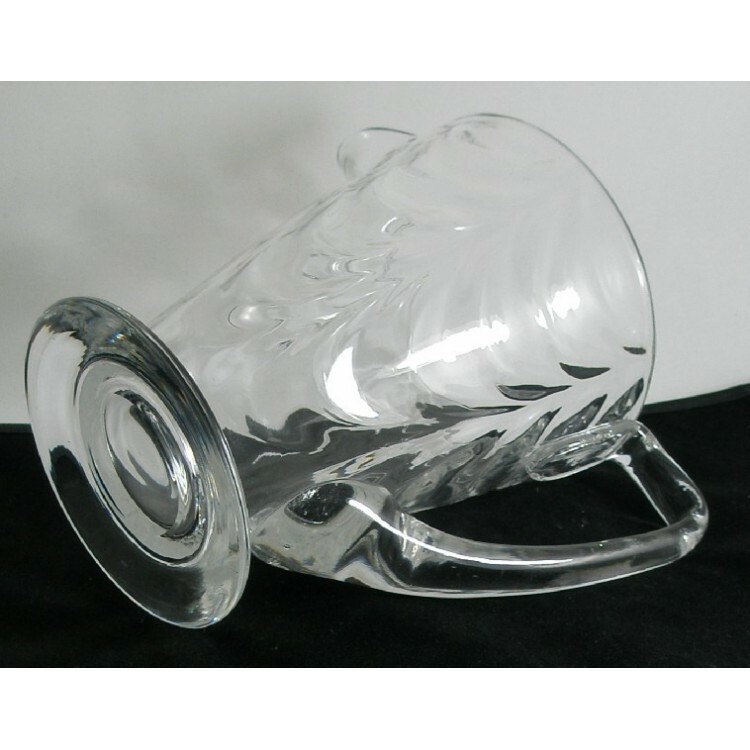 The jug and glasses all have some age related wear in the form of light scratches/scuffs and a couple of tiny encased air bubbles and inclusions. 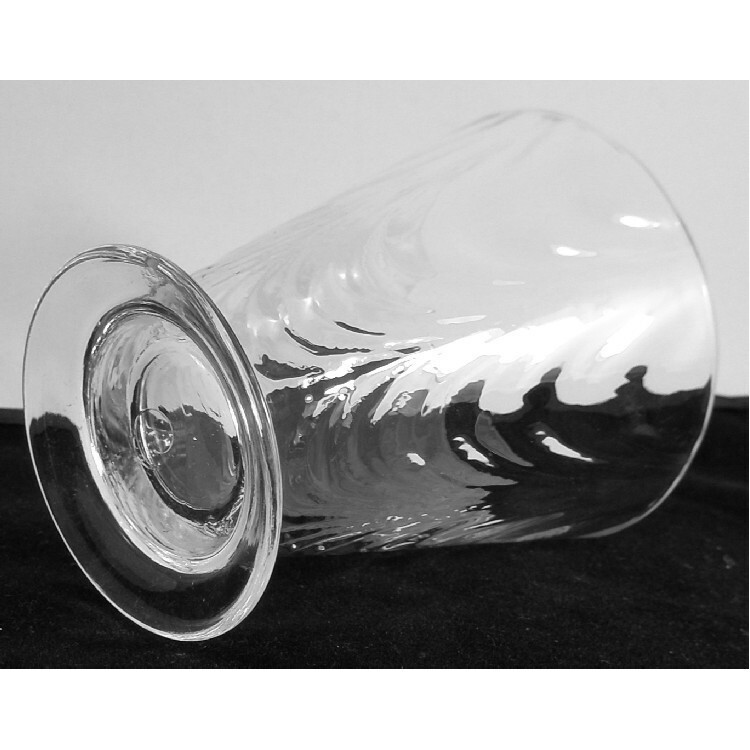 One glass has what appears to be a light scuff running just under the rim and measures approx 1 3/4" in length. 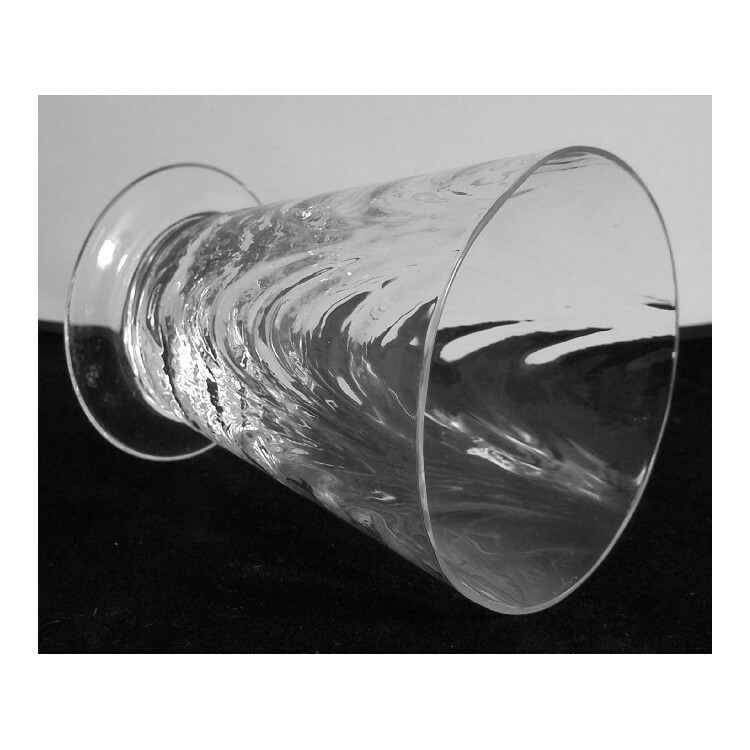 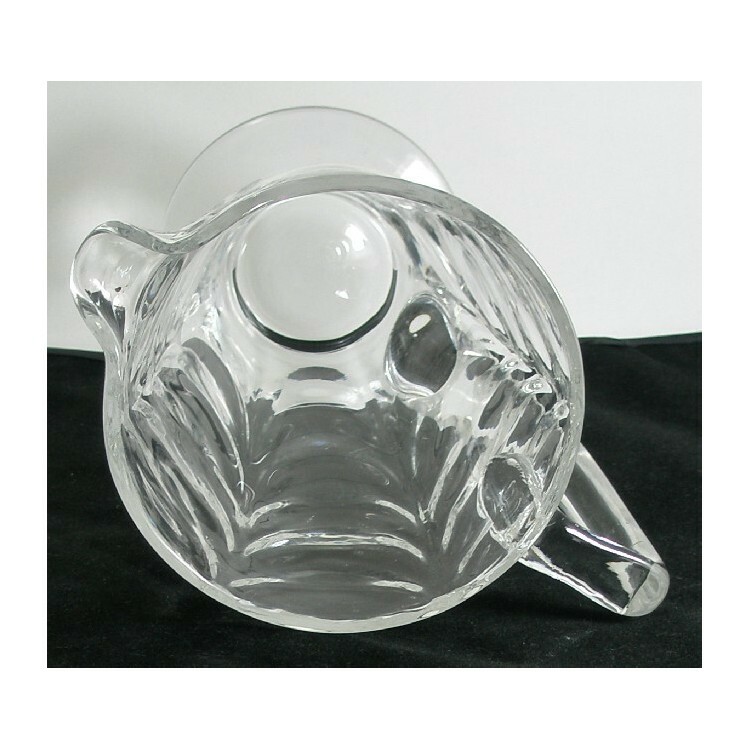 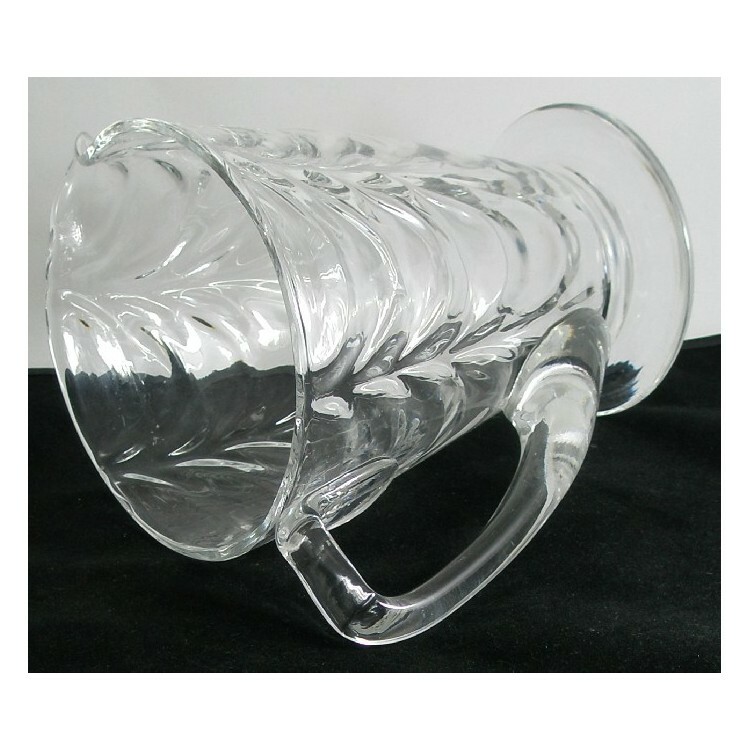 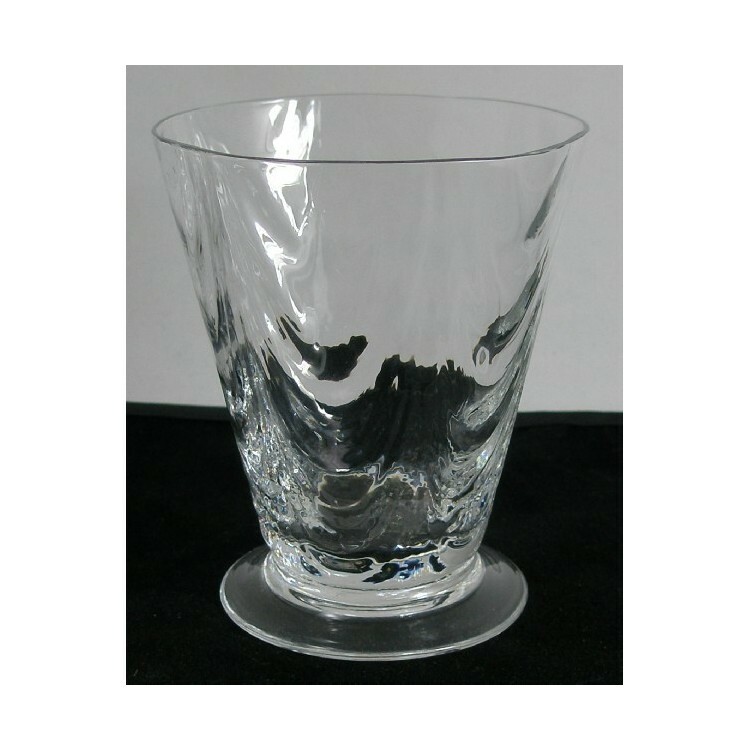 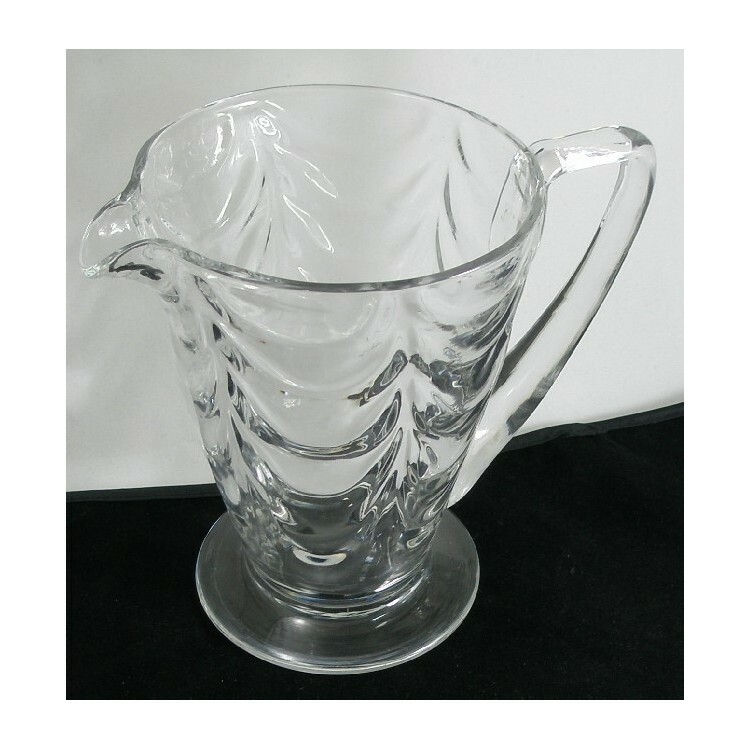 Jug - Height 6 5/8" - Rim Diameter 5" - Foot Diameter 4 1/8"
Glasses - Height 3 3/4" - Bowl Diameter 3 1/8" - Foot Diameter 2 1/2"